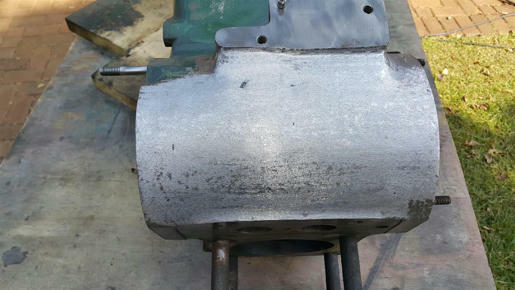 As I understand it, the axial groove provides the pathway for splashed oil to enter the bushing (at 12 o'clock) and the radial groove provides a small reservoir around the camshaft circumference to keep the bush fully lubricated. I have not been inside enough of the Dursley CS originals to claim a very broad experience with this specific design detail overall... but I believe it to be to original specs. 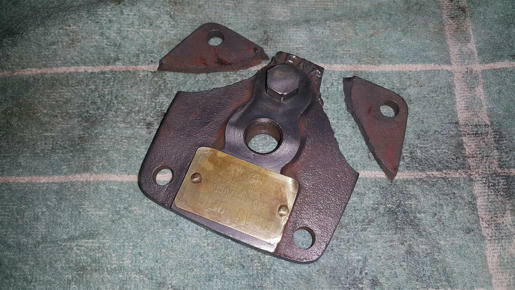 There were different part numbers for this same part on the twins vs the singles and this one might match the twin design where there was also a center bushing involved. 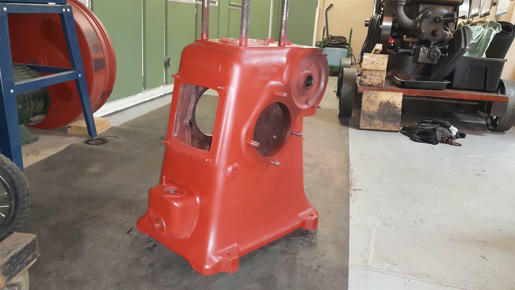 I do not believe the loss of bearing surface area to be much of a factor when the groove is properly located, fully reliable lubrication is probably the more important design aspect in this case. They say time flies when your'e having fun? The remaining modification on the camshaft was to bush the collar so it would fit properly on the undersize shaft. I faced and bored out the collar to give the bush more meat. I didn't follow the example in the picture dieselgman send me exactly, but instead I copied the groove design of the cast iron bush. The camshaft is now finished and it's a great relief... but there's always something else... I have three new taper pins I bought from stationaryengineparts. The one in the collar I can use if I must, so I'm 2 short. I was surprised to learn that no-one carries stock of taper pins any longer. Not a biggie though - I need to order a couple of things later so I'll get the pins when I place the order. I thought of turning them but it's such a schlep to get the taper right that it's just not worth the time spend. 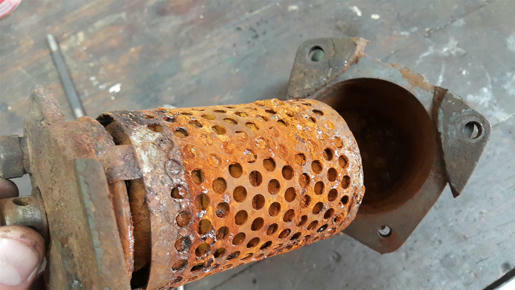 Diesel filter housing has two of cover's corners broken off. I've done cast-iron welding before on my Fairbanks-Morse to repair all the frost cracks, but I think brazing might be an easier and more appropriate process for this job. 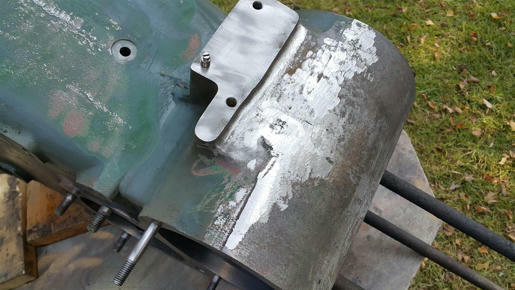 Somewhere along the line I ran out of brazing rods, so out came the nickel rods to get the job done. 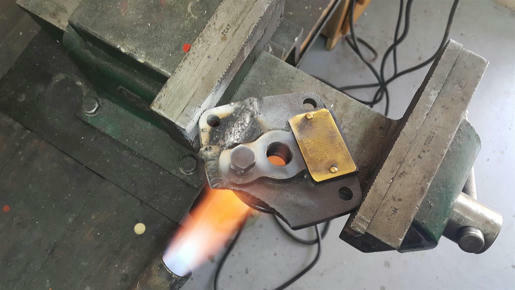 Pre-heat - weld - peen - keep warm - weld - peen - keep warm - repeat. After welding cool down slooowly - I usually put the parts inside a fibreglass blanket to slow down the cooling process as much as possible. As with the rest of the engine, this was also filled with water for a loong time. Everything is brittle. I saw elsewhere on the forum that very nice paper element retrofits can be done on these. I'll shelve this for now. After a couple of hours worth of grinding and sanding I ended up with these parts prepped for painting. (and I was very black). I'm "blueprinting" the casting finishes. 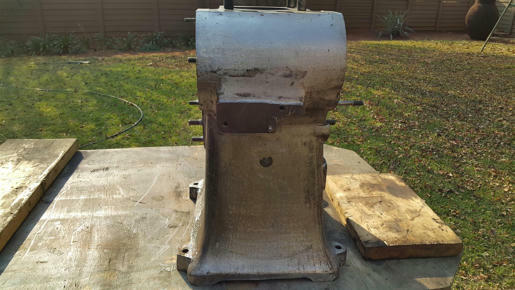 All the ugly fettling and casting imperfections are meticulously ground away. 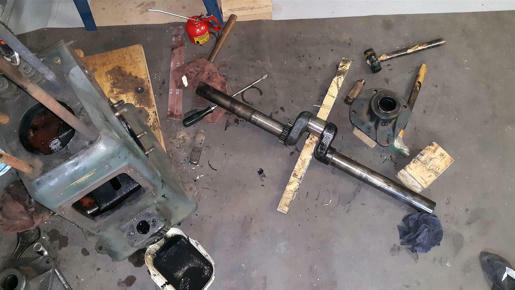 The main bearings are gone and it looks like they were ready to seize. Good thing the camshaft seized instead and spared the crank from damage. McMaster Carr carries the taper pins as well as the tooling to work with them. The cast iron filter housing (and cap) is inexpensive from India. Those main bearings are the worst worn out I've seen on one of the CS types. You must have had a lot of oil contamination and lack of maintenance to get there. Luckily, they are designed to be replaced with new - and run on for our lifetime if given half a chance. Just carefully measure the crank journals for excessive wear and be sure they are polished to a mirror finish before installing new bearings. The professionals spin them in a lathe and sometimes use a counter-rotating strip of emory cloth. We use the lathe and hand-held cloth strips. In some bad cases, we sometimes have to start with 600 grit and work down to the super-fines. Can someone please measure the flange thickness of a new main bearing? 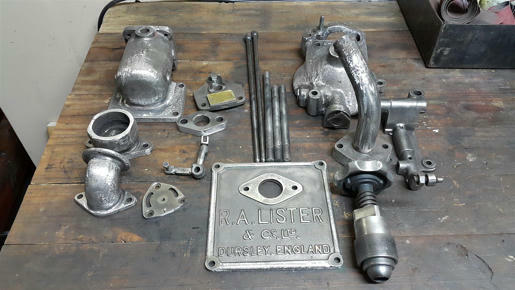 The form of lubrication you describe seems common to many Lister bearing surfaces that don't have the luxury of being in an oil bath or having forced lub feed. 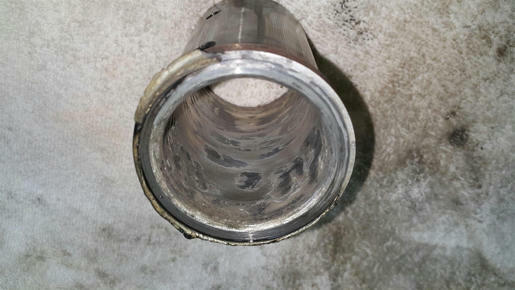 The auxiliary shaft on a JP for example has a significant indentation in the casting at the top of each of its bearing housings. 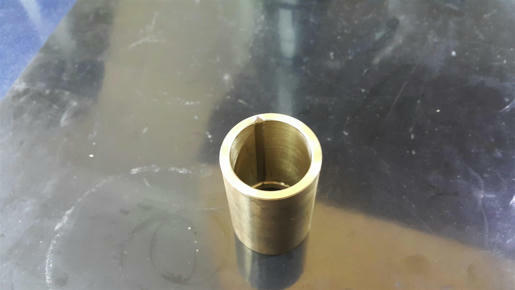 A hole is driiled though the bottom of this to align with one in phoshor bronze bearing bush which is a press fit within. So with splash there is a constant puddle of oil feeding it. Just carefully measure the crank journals for excessive wear and be sure they are polished to a mirror finish before installing new bearings. Also when fitting the main bearing housings to the crankshaft, ensure that the keyways in the crankshft are at the 6 o'clock position. This gives you the best chance of not scoring the white metal bearing surfaces on the edge of a sharp keyway. The Indian fuel filter top should replace that one perfectly and nobody except us will ever know . A lot of Listeroid users throw the whole filter aside and replace it with modern filtration so there should be some around that can be had. 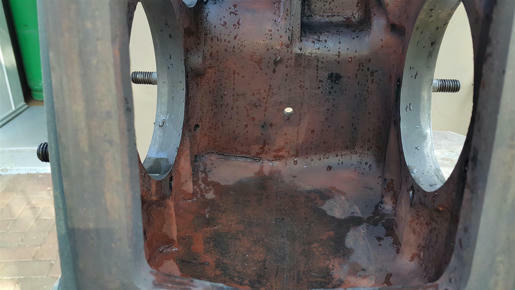 Dieselsmoker, That main bearing flange (thrust face) thickness should be 0.30 inches or 7.8mm. Great! Thanks dieselgman - That dimension will come in very handy later on. I'm trying to make sense of the tolerance table. 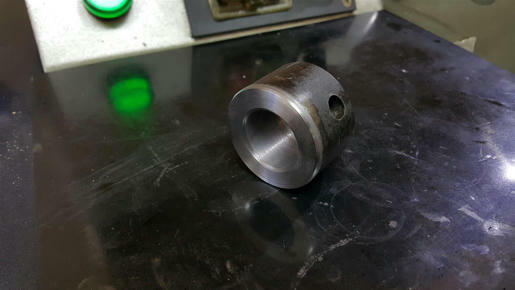 Crankshaft is 2 Inch Diameter. SO does this mean the crank diameter can be between 2.000" and 1.998"? Why the 1.9975" size? Am I reading this wrong? No idea what to do with that.. +three quarter thou? can't be..
What I need now is to figure out what the main bearing bush inside diameter is, and also what the upper and lower limits are. I know... a lot of assumptions about the data provided for trained machinists. 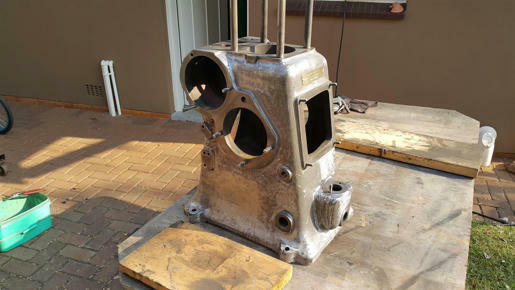 crank main journal 1.998/1.9975 this is the acceptable freshly machined range. Maximum wear to 1.990". crank pin journal 2.498/2.4975 maximum wear to 2.491". I will have to do some further research but I see a wrist-pin specification for the smaller bore Listers at 0.0017" initial clearance, and 0.0033" maximum allowable clearance in a worn engine. 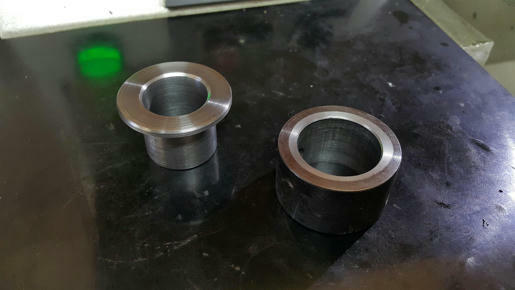 crank main journal 1.998/1.9975 this is the acceptable freshly machined range. Hi dgm. I agree with that. My plan is to try my hand at babbit casting, so I would really like to figure out what that mains bore should be. I took the other bearing out and funny enough, it looks fine - there is of course some wear in the bearing, but I'm not sure if I it's still within limits.